Bob Bowles and Steve Bruce founded Industrial Fabrication Company in August 1989. Since that time the company grew its market share, became well known in the co-generation and boiler industry and expanded its presence and recognition to multiple other industries across the country. Over its 30-year history the company enjoyed a very stable work force and built a diversified customer base. Today the company employs 18 individuals with an average tenure of 10 years. This success is due to the company's stellar reputation for reliability and excellent quality spread by its customers and its peers in the industries it serves. Industrial Fabrication Company is a leading custom fabricator. The company works with customers from the early stages of a project budgeting and design all the way to manufacturing and shipping the final product. 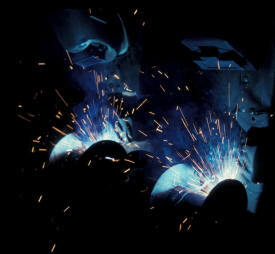 All our welders are WABO and AWS certified with extensive experience in metal fabrication. With an average tenure of 10 years with the company, there is an extensive inventory of experience in our shop that applies to every project. Industrial Fabrication Company has the skills and scale to handle small and large projects for industries across the country.